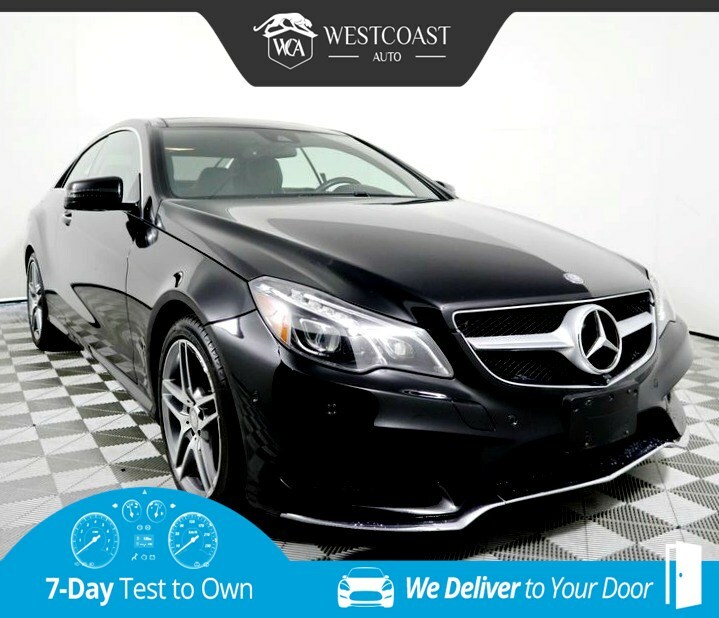 With unmatched style and extraordinary strength, the chiseled physique of our One Owner, Clean CarFax 2015 Mercedes-Benz E550 Coupe in Obsidian Black Metallic is an elaborate feat of engineering! Our coupe is powered by an advanced 4.7 Liter Biturbo V8 that unleashes 402hp and exudes a sense of luxurious athleticism that is world-class thanks in part to sport-tuned dynamic handling suspension and our innovative 7 Speed Automatic transmission. Sprinting to 60mph in 5 seconds will certainly get your pulse pounding, while scoring near 27mpg is also desirable! The sweeping silhouette of our E550 is perfectly complemented by unique AMG wheels and a distinctly debonair grille. Slide into the flawless cabin and feel the supple leather heated sport seats. You will be in awe of the world around you courtesy of our expansive windows that don't require pillars, while also enjoying the dramatic panoramic view of the sky with a heat reflective glass roof. Enjoy a seamless connection to your digital world as well as navigation with mbrace and our COMAND system with an elegant central controller. You can run your empire from your driver seat without ever taking your eyes off the road! Enjoy a new era of driving ease with state-of-the-art safety systems that keep virtual eyes on the road in order to keep you safe from harm. Embrace classic elegance and reward yourself by joining the elite Mercedes-Benz club. Print this page and call us Now... We Know You Will Enjoy Your Test Drive Towards Ownership! Great quality, easy financing and affordable prices aren't the only things that make Westcoast Auto Sales the first choice of many discerning auto buyers. Stop in and See California's Dealer of the Year!